Israeli archaeologists are eagerly promoting the finding of an ancient stone carving once part of an ancient pottery workshop as the oldest known instance of the word “Jerusalem” spelled out in full. Earlier inscriptions, spell Jerusalem as “Yerushalem” or even just “Shalem”, rather than “Yerushalayim” as in modern Hebrew. Even in the Bible, in which “Jerusalem” appears 660 times, it is spelled in the “modern” way only five times, in Jeremiah 26:18; Esther 2:6; 2-Chronicles 25:1; 2-Chronicles 32:9; 2-Chronicles 25:1, all of them late additions. So the new find must, one imagines, be an earth shattering discovery perhaps showing Jerusalem (spelled as we know it) harks back to some time in the Jewish book of foundation myths showing perhaps that they were not mythological at all, but real history–Moses or David and Solomon, eh? Not a bit. The carving, written in Aramaic, says, “Hananiah son of Dodalos from Jerusalem”, dates only to the first century AD, and so is only about 2,000 years old. That is from Roman times when no one doubts that Jerusalem actually did exist! Not surprisingly this spelling occurs only in one other instance, also from Roman times, on a coin from the Jewish War (66 to 70 AD). … The word God is for me nothing more than the expression and product of human weaknesses, the Bible a collection of honorable, but still primitive legends which are nevertheless pretty childish. No interpretation no matter how subtle can (for me) change this. These subtilised interpretations are highly manifold according to their nature and have almost nothing to do with the original text. For me the Jewish religion like all other religions is an incarnation of the most childish superstitions. And the Jewish people to whom I gladly belong and with whose mentality I have a deep affinity have no different quality for me than all other people. As far as my experience goes, they are also no better than other human groups, although they are protected from the worst cancers by a lack of power. Otherwise I cannot see anything ‘chosen’ about them. Now that I have quite openly stated our differences in intellectual convictions it is still clear to me that we are quite close to each other in essential things, i.e; in our evaluations of human behavior. What separates us are only intellectual ‘props’ and ‘rationalization’ in Freud’s language. Therefore I think that we would understand each other quite well if we talked about concrete things. Researchers have long been fascinated by the secrets of Ramet Rahel, located on a hilltop above modern-day Jerusalem. 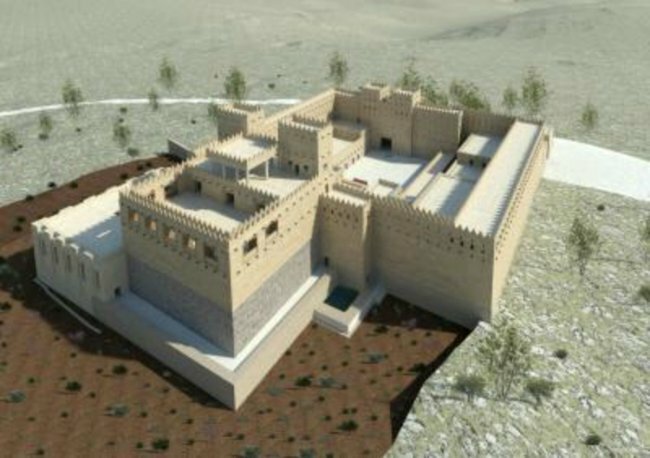 The site of the only known palace dating back to the kingdom of Biblical Judah, digs have also revealed a luxurious ancient garden with an advanced irrigation system. The rest of the review shows that this summary statement is wrong. The garden and palace are not from the time of the “biblical kingdom of Judah”, which ended with the Babylonian conquest in 586 BC, but from the Persian period which must have been at least fifty years later, and was more likely 200 years later in the fourth century BC. The evidence is provided by the nature of the irrigation systems which were like those the Persians were noted for constructing, the exotic plants in the garden which came from Persia and further east, and C14 dating will have left little room for doubt. When it comes to the bible, there is no such thing as lying. The truth is that the biblical kingdom of Judah is largely fictitious. Little of its scriptural history has ever been found confirmed in the ground, and much of what has, like the claim here, is false or misreported. The evidence as opposed to the myth suggests the kingdom of Judah existed just 150 years—from about 730 BC to 586 BC—as a rump of the previous kingdom of Israel, and a puppet of the Assyrians. It was left poor and uncolonized by the Babylonians, and was not resettled as soon as the Persians took control, as the myth makes out, but much later probably in response to a rebellion in the fifth century that required a Persian punitive expedition to Jerusalem. It is after this that the palace and garden described in this work flourished. How Darius II founded Judaism is explained in detail at the main askwhy website. 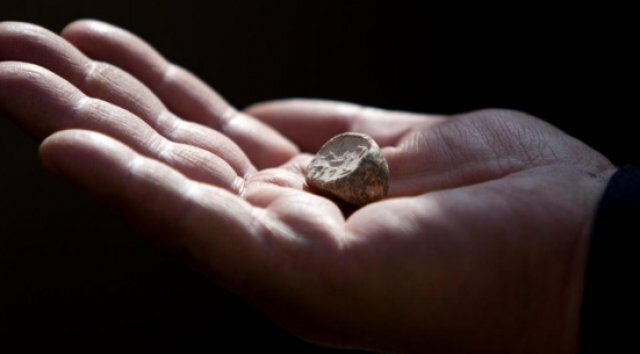 Israeli archaeologist Ronny Reich of Haifa University has found near the Western Wall under Jerusalem’s Old City a rare clay seal that they say came from the Jewish Temple 2,000 years ago—between the first century BC and 70 AD—because it bears the inscription “pure for God”. The upper terminus is set by the closing of the temple by the Romans after the Jewish War. This is the first such seal found dating from this period. Very many seals from apparently earlier periods are known, but regrettably so many of them are fakes, no one can be sure that any are genuine unless they have been found in situ. As it is, Reich, the co-director of the excavation opines that seal indicates temple ritual, signifying that Temple officials had approved some thing for temple use, like oil or a sacrificial beast. Offerings to God—for the benefit of the priests, in fact—had to be pure and perfect. Curiously, though, the inscribed words are written in Aramaic and not Hebrew, as one might expect for ritual relics associated with the Jewish religion for which Hebrew was and still is the sacred language. The part of the Jewish Talmuds called the Mishna mentions the use of seals as tokens by diaspora pilgrims, who would have predominantly spoken Greek or Aramaic. However, it would have been the local people, Palestinian Jews, who gave animals, it being far more convenient for pilgrims from afar, maybe overseas, to give money. Presumably a priest was only capable of judging whether an animal was suitable for sacrifice, and logically they would have had seals inscribed in Hebrew. It suggests that Hebrew was only nominally the sacred language, Aramaic serving in practice. I am an anti-Zionist. I’m one of those people of Jewish descent who believes that Zionism would be a mistake even if there were no Palestinians. One of the advantages of a Marxist and internationalist training is that it exposes one to the early writings of those Jewish cosmopolitans who warned from the first day that Zionism would be a false messiah for the Jews and an injustice to the Arabs. Nothing suggests to me that they were wrong on these crucial points. In the second century BC, residents on the Greek island of Delos saw nothing wrong with using others’ gods in their prayers. Caitlin Barrett, Cornell assistant professor of classics and author of Egyptianizing Figurines From Delos: A Study in Hellenistic Religion , examined terracotta figurines found on Delos to determine what influence Egypt’s religion had on the Hellenized inhabitants and their daily lives. The fact that somebody’s dedicating a figurine of a Greek goddess like Aphrodite to an Egyptian goddess like Isis suggests that the two were associated, or at least that their worship wasn’t considered incompatible. Greeks saw these other gods not as alternatives to the Greek pantheon but as something compatible with their own traditions. What’s interesting is the degree to which these foreigners—Italians, Phoenicians, Egyptians, Syrians and Jews—interacted with each other’s deities and the cross pollination among worshipers. This led to the creation of syncretic imagery that combined aspects of both Greek and Egyptian traditions, and that could speak to members of this heterogeneous population. Some of that imagery wound up becoming hugely popular in the rest of the Mediterranean as well. Delian craftsmen used techniques of figurine manufacture and conventions of artistic style that derive from Greek traditions, while conveying concepts that are fundamentally Egyptian. Barrett explains that Egyptians depicted children like adults with a finger to their mouth—because babies put their fingers in their mouths—rather than smaller and with the features of a child. 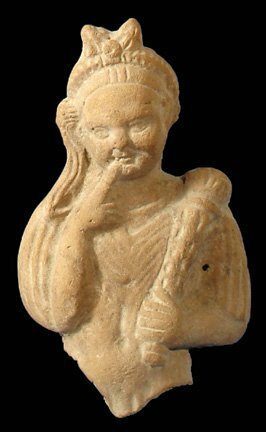 However, in truth, Later Greek writers misinterpreted figurines of Harpocrates as a child to mean, from the characteristic gesture of his forefinger to his lips, that he was silencing people, and he became thought of as the god of silence and secrecy. To the Egyptians he was the symbol of the reborn sun and early vegetation, whence the upturned torch in the illustration (not a figurine from Delos), and his being a child (in the illustration having childish features and an Egyptian side lock of hair). To pretend that Christianity avoided any trace of syncretism, as fundamentalists argue, is quite absurd. Many, perhaps most, Christian traditions and calendar dates copied ones already in use by older religions. Christmas is merely the most obvious example. It is a massive shame Christianity did not adopt and practice Hellenistic toleration too. Fundamentalist Right Wing Authoritarian Christian Fails Apologetics! I happened to chance upon a website by an historian who turned out to be one of the varieties of fundamentalist right wing authoritarian Christians, one Nathan Albright. The page was a review of a book critical of Christianity, so this “historian” gave it a very bad notice. I have no idea what this book was otherwise about or whether it was any good, but what interested me was what this blogger’s review revealed about himself. So I put a comment on the page saying that his own views seemed shockingly confused for a Christian historian. He kept speaking of “biblical law”, so I asked him whether he meant the law of Moses, asking what relevance that had to a Christian, expecting him to say something about its relevance to the way Jesus must have thought, having been raised as a pious Jew, but not expecting a Christian to consider the Mosaic law valid since God incarnated on earth, as Christians are supposed to believe. Is the bible God? Are you God to know just what punishments God might choose to mete out? Christ makes a firm point that it is not for us to judge, and for what it is worth 1 Peter says we ought not even to revile others. If you think the laws of the Jews still reproduced in the Old Testament are as important as the lessons delivered by the Christian incarnated God, uttered from his own lips, then you should be a Jew not a Christian. Your whole emphasis on law is wrong. Christ teaches personal morality. When that is right, there is no need for law. So while you refer to the book’s author as being “so incoherent and self-contradictory”, you should be aware that you are no different. While it might be true that Gnostics were not Christians, there is much in the New Testament that is gnostic showing that early Christians took some ideas from the Gnostics, and in the confusion of the earliest Christian centuries there was much hybridizing between local churches and sects. In any case, Gnosticism and Judaism both had Persian roots, and Christianity itself incorporates many concepts of the Persian religion, including that of the Saviour (Persian, Saoshyant). You also seem to dislike the author’s alleged “left agenda”. What constitutes a “left agenda”? It is of some interest in the world right now, with protests everywhere in the world at the way the social contract has been torn up so that most people can be left destitute while a few have so much it would take a lifetime to give away. For that indeed was what Christ, your own God, told you to do, and inasmuch as that is an egalitarian measure, it counts as being left wing, doesn’t it? No Christian can leave most of the population of the world destitute while enjoying the life of Riley themselves. Certainly “obedience” is a quality that the rich value in the poor, but did the Good God grant us free will so that we have to be uncritically obedient to “our betters”? Indeed can it seriously be argued that a Good God will punish us for not obeying Him, even though he apparently gave us that very right? Coming from a Christian, who pointedly cites several selected quotations, some from the Jewish scriptures, not the Christian ones, to suit his own interpretation, it looks like a spoof. The inadvertant spoofiness of the writer revealed itself several times later, because he was evidently a perfect example of Christ’s parable about the mote and the beam. He was utterly blind to his own failings, failings that he saw in spades in others though he himself was the one who had them in spades. Christ taught morality and morals are those practices we adopt to make living together agreeable. That is the meaning of Christian love, the attention the Good Samaritan paid to the accosted Jew—concern, kindness, care, attention, help, benevolence, protection—and the meaning of his being a Samaritan is that he was considered an enemy by Jews. I expect that can be written off, by a Christian so-called, as left wing too. Your knowledge of God’s law and biblical history appears shockingly weak, let me provide you some information of where you woefully fall short. You are spoofing us again, surely. You say you are a Christian and an historian, so your Christianity takes precedent over your history. That is the reason why there is no such thing as a “Christian scholar”. Christianity is antithetical to scholarship. What of history? You say my history falls woefully short, but yours is simply woeful. The concept of a savior or deliverer is not borrowed from Mithratic Persian religion as you falsely claim, but was present in biblical religion from the earliest times (see Genesis 3:16-17). What is the relevance of this citation to the precedence of Persian or Jewish religions? Do you, allegedly a historian think Genesis was written in “the earliest times”? Genesis is most unlikely to be even the oldest book in the bible? As an historian you go on evidence, don’t you? What is your evidence for believing Genesis was written in the earliest times? No one could write at all in the earliest times, and the earliest evidence for recording data comes from Mesopotamia, not Palestine. Some of the myths of Sumer and Babylon are recorded in Genesis , myths like “the Flood”, but no serious historian considers them historical. They are old myths, and they have been copied from the early civilizations of Mesopotamia which preceded the Jews and Judaism by at least a millennium. The bible itself reports the beginning of Judaism, considering it as a return from exile, actually a deportation of people from Mesopotamia, during the Persian period! The law was then read out to them by Ezra in a foreign tongue. So the bible was compiled after this event. Judaism is therefore later than, and dependent on, the concepts of Persian religion. You assume that the Jewish scriptures and Christian scriptures are different, following after the Marcionite heresy. This is a mistaken assumption. It is not an assumption as anyone who can read can confirm for themselves. If they are the same, if not in fact, in meaning, then what was the point of Christ? Just a human sacrifice? Now you cite Paul ( 2 Timothy 4:16-17), but you mean to cite chapter 3. If Paul wrote the pastoral epistles, he plainly referred only to the scripture then extant, what Christians call the Old Testament , so his mention of “all scripture” seemed to allow for other scriptures that did not gain entry to the Jewish canon. As Paul was considerably influenced by the Gnostics that you despise so much, he might have even meant some of the Gnostic writings. He certainly could not have meant by it “what would be called both the Old Testament and the New Testament by most Christians”, at a time when the New Testament did not exist. If these epistles are post Pauline works, as seems more likely, they could have been written when some at least of the New Testament already existed, but then the Church was obviously plugging its New Testaments —the gospels in particular—in addition to those the Jews and the early Christians knew, mainly the Jewish scriptures written in Greek, the Septuagint , which are incidentally, the oldest Jewish scriptures known. Therefore, a quotation from Mosaic law is fully applicable for Christians today (though to be interpreted through the lenses of Christianity to be sure). Your own failing as a Christian is emphasized here in what you add as an incidental comment. If God appeared on earth to do more than to be sacrificed as an atonement, then Christ’s teaching must have been meant to supersede or at least correct the previous law. Parts of the gospels suggest he did intend that, and many Christians throughout the history of Christendom have believed it. Christ himself, however, as a devout Jew, denied it. Yet he introduced an entirely new emphasis on love and poverty that are not obvious in the Jewish scriptures. If you as a Christian are to follow the line you are preaching, your passing parenthesis is crucially important to Christianity, for the whole point of love, to Christ, God to Christians, is that the Mosaic law has to be read with loving intent. If there is no such reading available, then love should prevail. No modern Christian, even sincere ones, would consider much of Leviticus as being even remotely applicable today, and have no qualms about ignoring it. Yet some of Christ’s own teachings are restatements of some Levitical laws. Christians, for example, have to be perfect like their father in heaven, but most of them consider it too hard even though Christ himself said it as a paraphrase of Leviticus . That, they ought to aim to do, as Christians, but do not, and murdering people whether witches or homosexuals or adulterers, and so on, are not at all loving and ought to be rejected by Christians with barely a thought about it. It is easier to believe what Christ himself plainly taught than to go back uncritically to the Mosaic laws. If you are a Jew, then fine, stick by Moses, but to be a Christian you ought to stick by Christ. In neither case would you stick by Paul, as almost all Christians do, even to the exclusion of God Himself, in the shape of Christ. The left-wing agenda I am referring to is a hostility to authority. So Christ was not hostile to authority, even though he took a whip to people going about their lawful business in the temple court, tipping up their tables and scattering their animals and birds. Come on, historian. Take off the Christian blinkers. Christ was hanged as a man opposed to Roman authority. That very act of rampaging through the temple was a criminal act under Roman law. Indeed, it was the very act of defying authority, and that was a capital crime. …except in the case when God is doing it, eh? You are at liberty to peruse my blogs myself, though you will find much reference to biblical law that troubles you as an antinomian. Perhaps I shall, but you are spoofing again, for you are, as I have noted just now, like all Christians, an antinomian when the nomos does not suit you. You say I am very mistaken on some aspects of historical analysis yet you, as an historian, still use Justin Martyr’s absurd excuse (ca 150 AD) for Christian practice mimicking that of extant religions—it was all Satan’s doing. I take it that Satan is that terribly powerful wicked God that Christians believe is responsible for evil in the world. A bit like Ahriman, the evil Persian God. In fact, just like Ahriman! Yet Christians abhor the Persian religion as being dualist, unlike “monotheistic” Christianity. And what about the Jewish scriptures, which you tell us teaches the same as Christ did? There in Isaiah, the Good God admits he is responsible for evil. The truth is that both religions stem from the Persian one, but in the post Persian age of growing monotheism tried unsuccessfully to eliminate Satan. He is too valuable an excuse for criminality for Christians to let go of. Genesis is a far older text than anything in the Persian or Gnostic religious traditions. I have disputed this, so offer me some proof. I suggest you take some remedial biblical history to improve your own weak understanding. Spoof, hilarious! Where do you get it all? You are the historian, and supposedly a Christian, but you need more than remedial work. Your root and branch comprehension is that of a bible thumping fundamentalist. One of the first things historians must do is question their sources. You cannot do it. The bible is your God, which is why you keep referring to biblical law. Like most Gnostics, your virulent hatred of Judaism and biblical law leads you astray because it causes you to reject true apostolic Christianity. What persuades you that I am a Gnostic and hate Judaism? Your credentials as a historian are in tatters. You haven’t a clue what impartial means. You have your own conclusions ready before you begin. But then, that is typically Christian. As a part-Levite and part-Jew who was circumcised on the eighth day and who keeps the biblical sabbath laws, food laws, and other laws as part of my Christian beliefs, I have no qualms with being considered a one-house Messianic Jew, though I myself was raised in a Christian background. Ah, so you are a Jew, and not a Christian at all. You must consider Christ a Jew rather than a Christian (for the two great commandments of personal morality you claim belief in, “Honor God with all your heart, all your mind, and all your spirit” and “love your neighbor as yourself”, spring directly from the Mosaic law, specifically Leviticus and Deuteronomy . Indeed, but what Jesus did that was novel and crucial was to link the two inseparably. He was asked for the greatest commandment and gave these two! It identifies every human being as meriting the love of God Himself. Christ was a man but was God too. The whole point of Christianity is that people must be treated as if they were God, for inasmuch as Christ is God, God could be any man and every man. Any Christian knows this, especially any Christian who has read his New Testament as far as Matthew 25:31-46. Apparently few have, or have not understood what they read, in two millennia. Matthew, Acts, and the letters of the New Testament (especially Romans , Hebrews , James , and Revelation ) are full of quotations and obvious references to Old Testament law being valid and applicable to Christians. You are a historian but seem not to know, as I have already said, that there were no Christian scriptures until these people had written them, so all they could cite as scripture were the Jewish scriptures. Moreover, all the first Christians, not just Christ were Jews, so what else would they use other than the Jewish holy books. If Christianity was merely a form of Judaism, then why did the two religions ever split? Why did Jews reject Christ as the messiah, and still do? Christianity began as a Jewish heresy, and those Jews who tried to do as you seem to want to do, keep Jewish while being Christian, were rejected by the gentile Churches as Judaizers. The real Christians were the Ebionites. Perhaps you are trying to be one of these, but they rightly rejected Paul as a scoundrel out for himself. Paul himself used an obscure Mosaic law about not muzzling oxen while they tread the field twice to justify Christians paying tithes and offerings to support the New Testament ministry. Thank you. Paul was the first TV evangelist! When you meet your maker in judgment, you can at least say you were warned. Warned by a tribe of crooks and perverts who have consistently in the history of Christendom, all bar a few exceptions who did try, practiced the opposite of Christian teaching. Come on! You claim to be a historian. Try reading a little of the vile history of Christianity instead of biblical mythology. The fundamentalist Christian historian did reply again to the comments I made in the preceding exchange, but ended with a warning that I was treading on his toes, so I began my replies to him on that warning. In view of your curiously defensive attitude, I had better start at the end of your last reply to me, to give you a chance to delete my further comments before you read them. I should note that my blog (like the Bible) has moral rules that include no insulting of Christianity or blasphemy. You are therefore in violation of my laws on my realm. Take heed to yourself. If you wish to continue conversing on this blog you will obey my rules. Is that simple enough for you to understand? It seems to me that obeying your rules means agreeing with your own particular delusions. Anything critical immediately offends your delicate sensitivities. Well, as you say, this is your blog, and you did not even have to publish my initial comments, which you plainly found distasteful, from the tenor of your replies. I have understood throughout that you are the master here, and can delete whatever you do not like. It may be fine for your ego, but it is an admission that you cannot argue your corner. As a Christian apologist, you admit failure. Now is the chance for you to delete the rest of may reply, but, never fear, I shall not waste it. Editor: No, forbidding others to speak on a forum or editing/deleting their posts is not a sign that one cannot argue, only that one does not wish to cast pearls before swine, encourage internet trolls (such as you are), or to engage in pointless debate with fools. Nonetheless, since you accurately understood that you were offensive both in the tone and in the content of your messages, why did you not show some wisdom and moderate that tone if you wished to have a genuine discussion? I suppose you’ll have to answer that question for yourself. Mr Albright persist in his psychological projection to the very end, conscious of offensiveness in my posts, but apparently as polite as saint himself! If an internet troll means arguing with nonsense, then I have no choice but to accept the insult, while wishing there were a lot more of us. Albright added to his editorial the following short “reply”. Isn’t this much better? Perhaps you should stick to #OWS blogs where people like your nonsense. So it is plain enough what his politics are. For anyone interested in all this, the points of my reply that he chose to omit continued as follows. You say I “have no sense of balance” because I do not narrate the good things of Christianity besides the bad. Well I have noted several times that your own attitude comes over as a spoof, because you are utterly blind to your own biases. Here is another instance. If I must balance my selecting the bad aspects of Christianity with the good ones, then why don’t you, as a scholar, have the same duty to balance your rosy tinted presentation of Christianity with the blood and burnt flesh of the real history of it. It would be a violation of your laws, master. But your laws are a reflexion of Christianity as a whole, unbalanced and tendentious. No doubt you see your own role and duty to be to apologize for your beliefs. Well, I see mine as rectifying your unbalanced view. If that makes me “unfit to be a scholar or a gentleman”, then that is your view, but I submit that I am thereby the better Christian, because Christ was here to rectify what He as God perceived had gone wrong in His plan. You are the Caiaphas or the Pontius Pilate. Christ was a reformer, if not indeed a revolutionary, but you cannot abide any contradiction. You refer to Christians scholars naming Harrison, Kitchen and Albright. The Harrison I know of is not the one you mention, but Kitchen and Albright were so biased and indeed bent that whenever they opine about anything impinging on Christianity or Judaism, they are hardly worth reading. Albright did a lot of damage with his archaeological tinkering over many decades, not least a faulty pottery sequence that misdates everything to suit the mythical chronology of the bible. Kitchen should stick to Egyptology. There is internal textual evidence that Genesis springs from very old times, including its reference to a river that dried up about 3500 BC and its use of “and these are the generations” to divide its contents into cuneiform tablets kept generation after generation. Genesis is a collection of stories, from Mesopotamia, as I have already said. Mesopotamia is where writing was developed and in its advanced form of lettering it became cuneiform. You are therefore accepting that much of this book’s content is Sumerian, Akkadian or Babylonian, the culture being essentially unchanging over tens of centuries. “The evidence for Genesis’ considerable antiquity” you think is conclusive is not even valid. On your reasoning, the Last days of Pompeii must have been written in the first century AD, because it records an event of that time, but we all know it was written in the last century of the second millennium, almost 2000 years later. No historian will simply accept the internal contents of any source as being concrete evidence of its date. All history is falsely dated on that criterion. So, if Genesis is genuinely ancient, as you claim, it is not Jewish, and if it is not genuinely ancient, it could be Jewish, but simply records copies of some ancient tales from elsewhere. In the main we know what they are because the same tales have been found, dated variously because they were narrated repeatedly over many centuries as religious myths, in the valleys of the two rivers where they were set down originally. Abraham and his family were descended from Mesopotamian society. Abraham and his family was a story, an allegory in all likelihood of the event called by Jews the “return from exile”. The Nuzi tablets record laws pertaining to the ANE over millennia, so useless for dating any particular event. The Hittite treaties indeed show “the Bible’s covenant formula”, but again you use a treaty format that remained in use for over a thousand years in the ANE to date a particular time in that interval that suits you. Note too, that if the covenant was a treaty format, it was a covenant between two powers on earth, the Jews and the Persians, at the time of Ezra (a Persian) not the imaginary Moses. Does God lack originality that he has to use a treaty formula for his holy covenant? Again, I am a scholar, and you’re just a troll. You are following the wrong scholars when you say that Judaism began after the exile. After all, the return from the exile merely restored the temple that had existed some time before. Evidence, please? There is none! The so called Second Temple is the first Jewish one, even if a temple preceded it. The Deuteronomic history was written as a foundation history of the Jewish Temple State centered on Jerusalem, called Yehud. Most of it is fiction, the rest is loosely based on Assyrian king lists in the hands of the Persians. Its purpose is plainly to intimidate the Jews. Be obedient and they will multiply and prosper, fail to be obedient and they will be destroyed, and will be lucky if a righteous remnant remains living. That theme is the purpose of the history. There is no evidence for a state of Judah until just before Samaria was destroyed by the Assyrians, and incorporated into the empire. Judah remained as a rump puppet state, lasting independently only for a few decades. It was repopulated by colonists from Persia, who came with instructions to start a new religion. You say I and people like me try to minimize the bible, and you say that because you have coined it, being biblical maximalists. The ones like me whom you call minimalists are actually doing what you are supposed to do wearing your historian’s hat. Find the truth, based on evidence and not merely on the myths in a tendentious ancient religious story book. Since the Bible extends well into the second and third millennium BC, it is far before the Persian religion. You have shown that some of the stories in the Genesis go back to ancient Mesopotamia, and I concur with that, but tell me how that is evidence that the bible was written then, any more than Bulwer Lytton was a contemporary of Pliny the Elder. [The Persian religion] had its Satanic-inspired reformation in the seventh and sixth century BC. I see you are now bragging that you are a personal friend of Satan, otherwise how would you know that little gem, Mr Historian? If you wish to be a scholar, seek out scholarship. You falsely claim that Paul was influenced by the Gnostics. Far from it. His words were twisted by the gnostics (yourself included) to be hostile to the law (see 2—Peter 3:15-16). Why do you, a so-called historian, keep citing valueless anonymous works as evidence? Even when you get the citation right, they rarely do what you claim. Where in this citation is the word “Gnostic”? As a fundamentalist, you will imagine that this is Peter the Rock speaking, but no scholar believes it is. You say Paul was a trained Pharisee on his own say so. That is not wise for a historian, especially a Jewish or semi-Jewish one, as modern Pharisees (scholarly rabbis) with few exceptions cannot see any such training in Paul, and his defection into anti-Semitism and self aggrandisement does not say a lot for Pharisees, if this claim is true. God, incidentally, in his earthly incarnation as Christ, seemed to disdain, if not detest, the Pharisees, so it is hard to understand why Christ’s supposed followers should defect into the arms of a supposed Pharisee called Saul of Tarsus. Tarsus was, of course, a cosmopolitan merchant city and a center of pagan religions, like that of Attis, the dying and rising god. You cite Acts in defence of Paul’s acceptance of the law while being a Christian, yet the instance you cite is one that belies your claim. 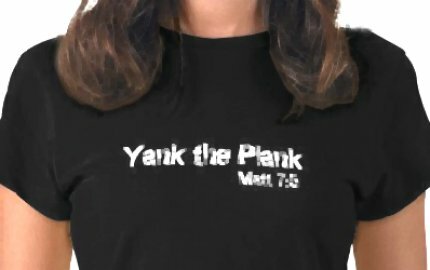 The Jews from Asia, a place where Paul had been active, so they knew his reputation directly, rioted against him because he had been violating the law. He had to agree to a Nazarite vow to try to appease them, but it didn’t. Elswhere he admits it or is ambiguous, and becomes increasingly anti-Semitic, the first self-hating Jew maybe? You additionally claim that he believed in numerous nonbiblical scriptures. No, I made no such explicit claim. Read what I said again. I am referring to scriptures which did not enter the Jewish canon, like the Enoch books, which you note yourself were Gnostic. Jude himself quoted Gnostic works against the gnostics. Quite so, and he quoted from Enoch favorably as scripture against those of whom he disapproved. Now you say the Hebrew scriptures were a fixed canon after “about 440-420 AD”. You mean BC, but you are wrong even so. The Rabbis meeting at Jamnia in the first century AD fixed the canon. Before then, the Torah was definite, of course, the Prophets mostly, and the Writings quite flexibly. Again, I’m sure your lack of belief in predictive prophecy lead you to reject historians like Joesephus. I must admit I never knew Josephus was a prophet. And falsely claim that Daniel was written in the second century BC because it would have been otherwise impossible for your puny and corrupted mind to understand how the various Ptolemeic and Seleucid kings could be written of ahead of time. You are very good on “puny and corrupted minds”, aren’t you, Nathan? Paragraphs follow in which you preach to someone in your imagination, so mean nothing to me. Evil exists as a corruption of good. It is not dualist because evil does not have an independent existence except upon a corruption of the original order. That is what the Persian religion says. Satan is not the equal of God. And yet God chooses to let him off the leash. From where most of us stand, unaffected by your ability to persuade yourself of anything at all, Satan looks to be God’s equal. And, as I said, he is a great convenience for Christians who want to plead their failings are not their fault. In any event, he is a supernatural being, like the angels, demons, saints, etc, of which there are millions. So much for the boast of monotheism. God is responsible for evil, but is not evil Himself. Is He then perfectly good? Can something evil come out of something supposedly perfectly good? The Persian religion falsely has an Ahura Mazda in a conflict with an equal evil god, an idea that is blasphemous in biblical religion, where Satan is a rebellious servant whose fate and end are already decided and merely await consummation. Again, your lack of understanding leads you astray. Curious, I thought I introduced the idea of Persian dualism to this discussion. And, of course, in the interest of balance, the biblical contention that the wicked Satan is a slave under instruction from the Good God is blasphemous in the Persian religion. I believe that the Bible is the very inspired Word of God, and the only credible source for learning about Him. Clearly you do not. The fact that you speak foolishly about what you do not understand pardons my speaking (as Paul did) as a fool to those who are foolish. But I will not cast my pearls before swine. According to the Rabbis, even the pearls of God are tarnished in an imperfect world, something you cannot get, and when you speak of my not understanding, be frank, you mean not accepting your entirely subjective and therefore unverifiable interpretations. The bible, even if it had been sent directly from heaven by angelic messenger, would be imperfect once it was opened on this earth. In fact, the inspiration of God is supposed to be via the Holy Ghost acting upon men, and men themselves are imperfect beings, so the Word is not going to be as so remarkably accurate as you think by the time they have pondered and written, then translated. The evidence offered by people not prone to subjectivity, but skilled in history and science, is that biblical history is very flawed indeed. You will stick by your subjective views but history and science have to aim for objectivity to be valuable. That might mean opposing absolutely some false idea. That is what I try to do, and you, if you are a historian, ought to. Mr Albright had run out of ideas, so refused to reply to the troll!